People of all ages enjoy candy. Many of us come to love it in childhood, when it exerts its most powerful influence over us. Candy is sweet and available in a variety of flavors, and when you’re a kid, it gives you energy. Kids just wait for holidays such as Halloween, when they can get a ton of candy around the neighborhood for free! What’s not to love? When you’re raising children, you should always strike a balance between letting kids enjoy themselves and teaching them responsibility. A good way to do that is to reward them for performing helpful tasks or showing initiative. The rewards can be anything they especially like, but may we suggest you pick up some candy in bulk for this project? 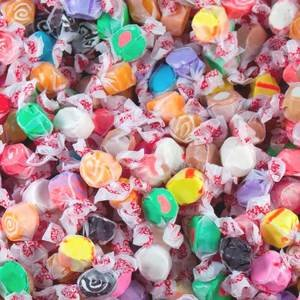 You can choose peanut brittle, Nerds gumballs, Jelly Belly jelly beans, or a large assortment of other bulk candies. So now you have your candy, but how does this work? Well, you can ask your children to help you dust all the tables in the house. Tell them it is important to finish their work before relaxing, and that if all the tables get dusted, they can have a candy reward. You can decide what kind is best. Do they like M&M’s, Laffy Taffy, or Dubble Bubble gum? As we’ve said, the options are nearly endless. Another idea is to ask your children to help you load groceries into your cart at the store. Tell them they can have their reward when you get back home. This will teach them to manage their responsibilities in a timely manner. The ultimate goal is for them to grow up believing that they should rest only when they have completed their important tasks. If they do this all year, they may be more inclined to view Halloween as the ultimate candy reward for being responsible for the previous 10 months! You may never have thought of it before, but candy in bulk can help with this. Order yours at BlairCandy.com.